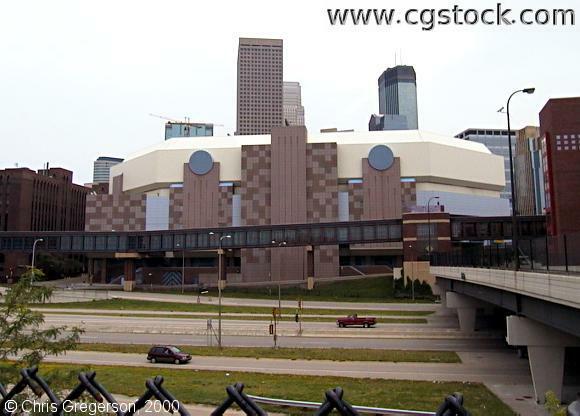 You are looking southeast at the "back" of Target Center, from 3rd Avenue north. 1st Avenue and the rest of downtown is on the other side of the Target Center. I-394 is the freeway in the foreground.